'Global Crossing' (Robert Van Liere, R. 2011). Seedling# 24DG3. TB, 36 (91 cm), Midseason bloom. Standards and style arms light blue; falls dark blue with lighter edge; beards orange ending in blue. 'World Premier' X 'Louisas Song'. 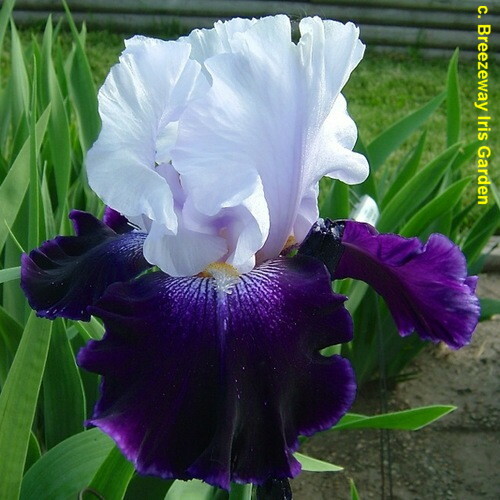 Iris 4 U 2011. Honorable Mention 2015.